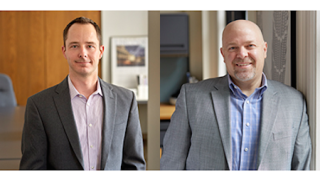 Shen, Milsom & Wilke (SM&W) has made two managerial moves: Rob Haddad has transitioned into the new role of technology discipline manager at the New York office, and Justin Boberg will take over the leadership of the firm-wide security discipline, working out of the Chicago office. In his new role, Haddad is responsible for the technical management and coordination of the firm’s combined AV, IT, and security teams. As such, he has management oversight of all internal project coordination and quality assurance. Haddad is also spearheading SM&W’s mixed-use practice area. Previously, he served as the global leader of the security practice at SM&W, and has been with the company since 2005. He is a seasoned consultant with expertise in planning, design, and project management. During his 24-year career, he has worked on various project types including commercial, residential, healthcare, government, education, finance, museums, and resort properties throughout the world. As the global security discipline Lead, Boberg will set the company-wide direction for its security consulting services, establish standards, recruit for top talent, and seek new growth opportunities and revenue streams. Boberg has 16 years of experience providing technical security consulting and engineering services, including threat assessment surveys, master planning, system design, bid award assistance, implementation, and contract administration. He is a certified protection professional (CPP) from ASIS International. "This new management structure positions SM&W to provide increased collaboration and coordination across our IT, audiovisual, and security disciplines,” said Tom Shen, president and CEO. “We are seeing a tremendous need for technology convergence on our projects, and our clients will benefit greatly from the oversight and management provided under Rob’s direction. His experience, leadership capabilities, and past success at SM&W makes him the perfect candidate for the job."